I am just back from South America. 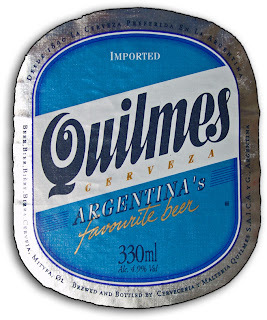 I discovered Quilmes (pronounced KILMES)Its fantastic. Got the opportunity to visit Uruguay, Argentina, Brazil and Chile. 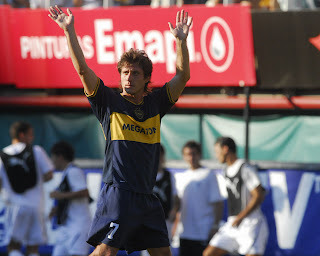 During my stay in Buenos Aires I went to see a derby game or "el classico" between Boca Juniors and San Lorenzo. Mad. The atmosphere would put the English premiership to shame. The Boca game will live in my memory for a long time. Truly spectacular. 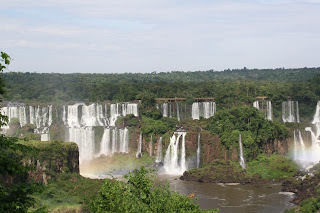 From Buenos Aires we travelled North to Iguazu falls, where we joined an small group of 3 people (2 Israelis and a Peruvian) to walk in the midday heat and humidity to see the Argentinian side of the falls. The flight to Iguazu was horrendous. I really thought it was to be my last. 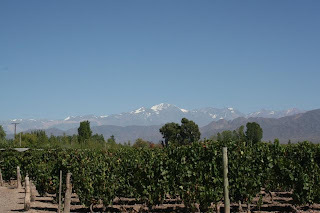 From Iguazu I travelled to Mendoza at the foot of the Andes. A fantastic city, large and modern, traffic lights are seen as a distraction and routinely ignored. This is a view from one of the wineries I visited. Truly breathtaking. Fine wine, fine food and perfect views. Need I say more.